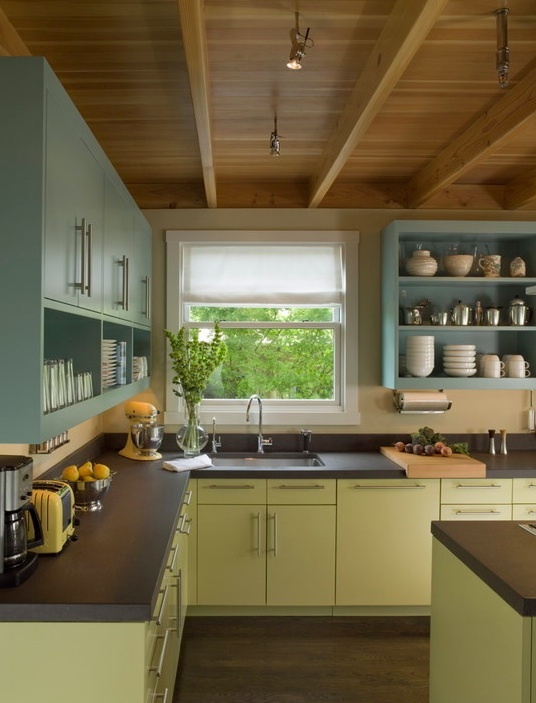 Your cabinets may be too dark for your taste or too light, or just plain outdated. 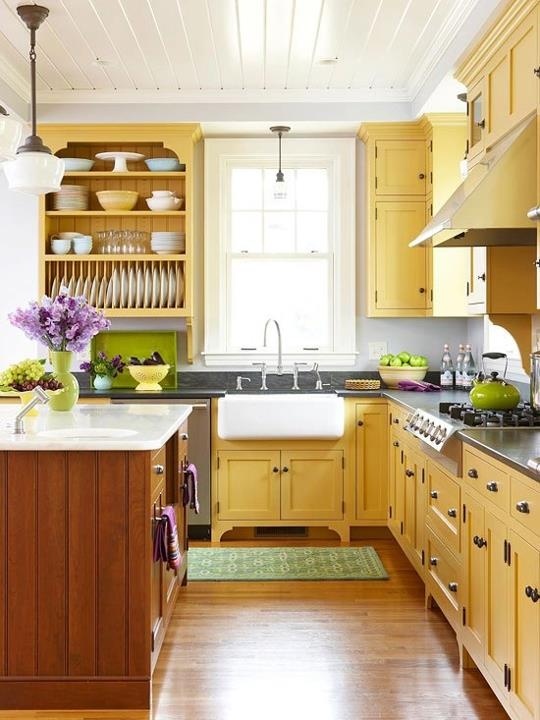 Painted cabinetry can give your kitchen that fresh and updated look. 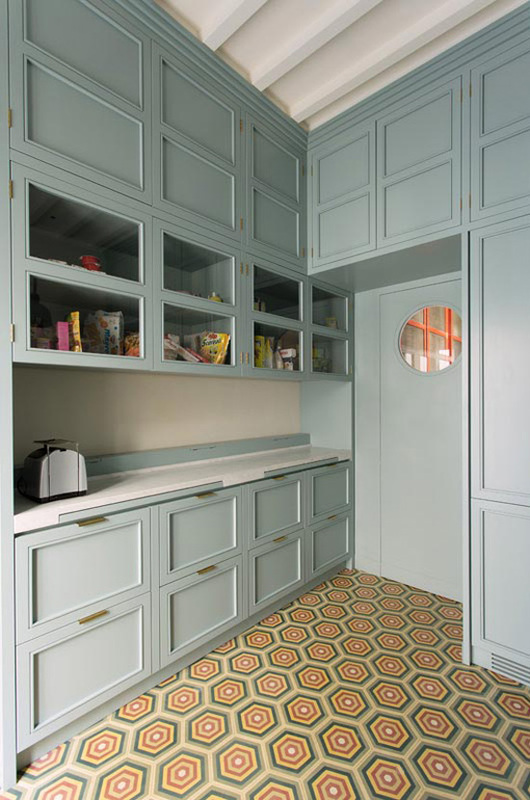 We’d like to share some of our favorite kitchens to inspire and spark that sense of creativity and design in you. Benjamin Moore gets all the color credit with a stunning color combo of Stratton Blue and Pale Avocado – from Studio Sarah Willmer. 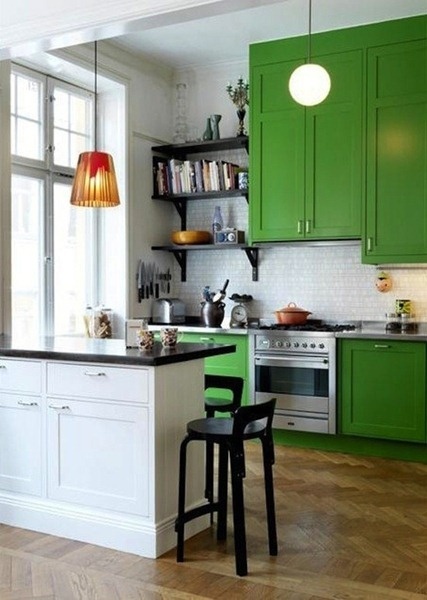 After all, the kitchen is probably the most used room in your house, so you need it to look its best. 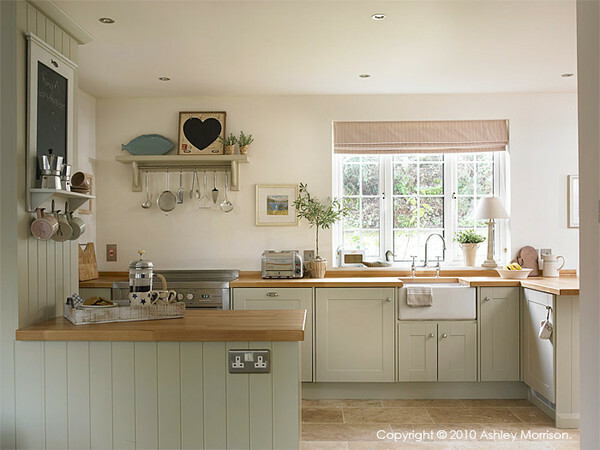 For more inspiration and pretty pictures check out our Kitchen board on Pinterest. 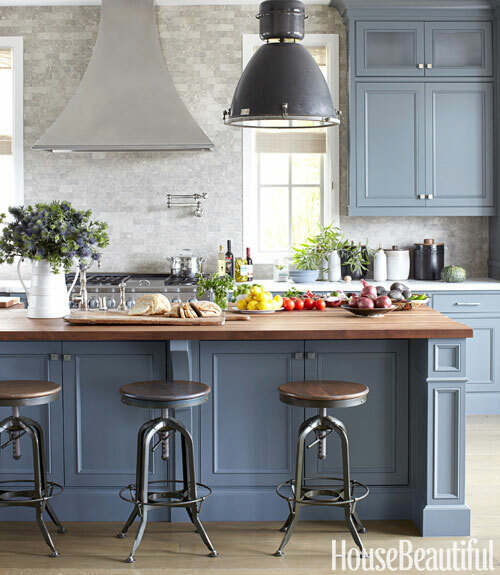 Look for a blog post next week where we’ll share tips on painting kitchen cabinets yourself. 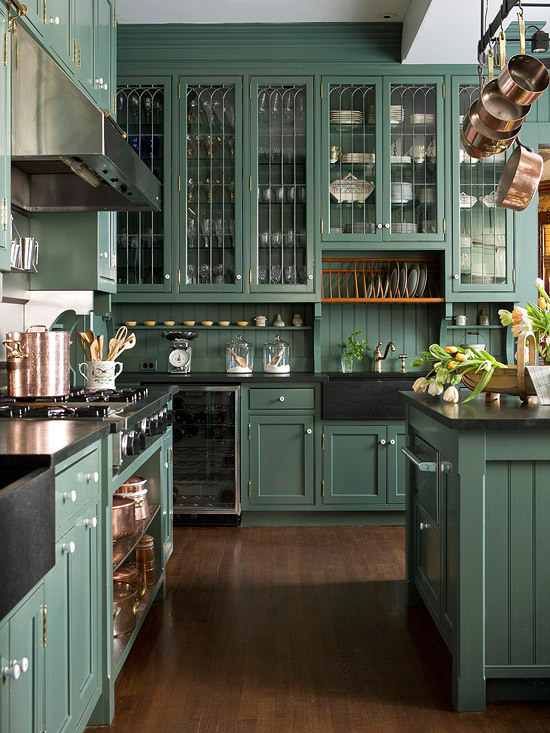 I love the look of painted cabinets. Great inspiration!